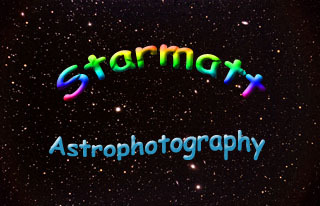 Gallery of astrophotographs of celestial objects in deep space. These images are exposed at dark-sky locations, using medium format cameras and highly tuned telescopes & techniques. The colors of the photographs are real.